Alpha Punch & Machinery have over 21 years experience in the manufacture of quality punches and dies to suit all makes of ironworkers. 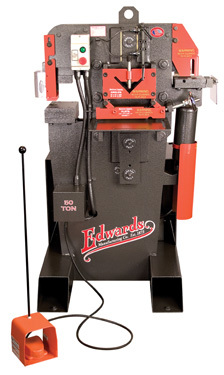 All of our punches and dies are manufactured and heat treated in house enabling us to give the fastest delivery times. Most orders received by 1pm are despatched the same day. We also stock a large range of metalworking consumables such as Bandsaw blades, Magnetic drilling machine cutters, Abrasive belts and Circular saw blades. 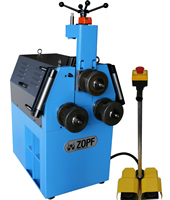 The cornerstone of our business is our comprehensive range of metalworking machinery. All of the machinery on our website is stocked at our warehouse which is conveniently located a few miles from junction 36 of the A1 motorway, between Doncaster and Rotherham. Machines can be demonstrated under power, between 7am and 6pm, Monday to Friday. Saturday and Sunday demonstrations can be arranged if necessary. We hope you find our website of interest, please don’t hesitate to contact us on (Rotherham) 01709 866083 or alternatively, out of office hours contact us on 07918745660.